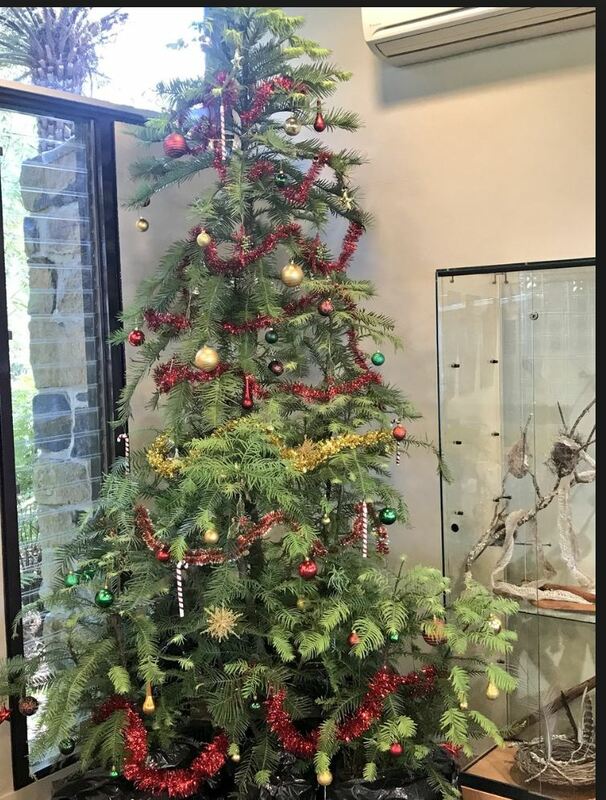 In praise of an Australian Christmas tree. 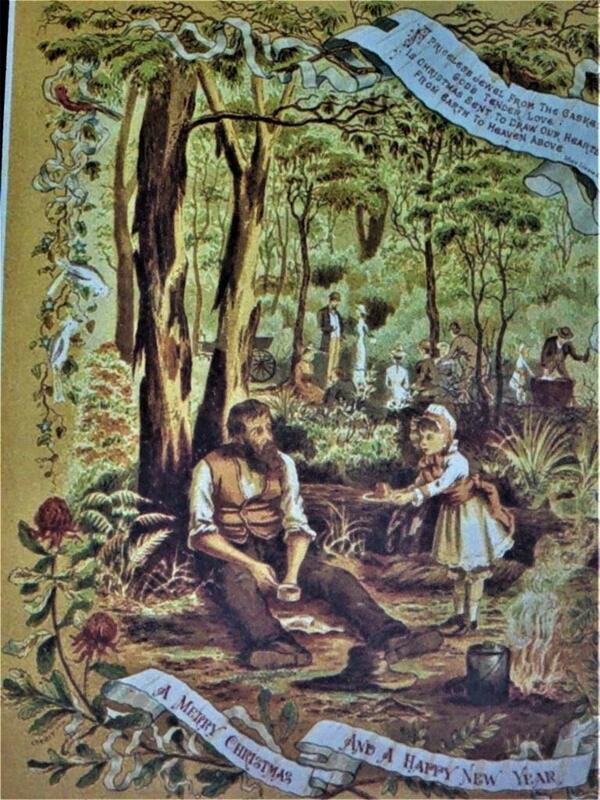 A little girl offers Christmas fare to a swagman sitting under a gum tree.. 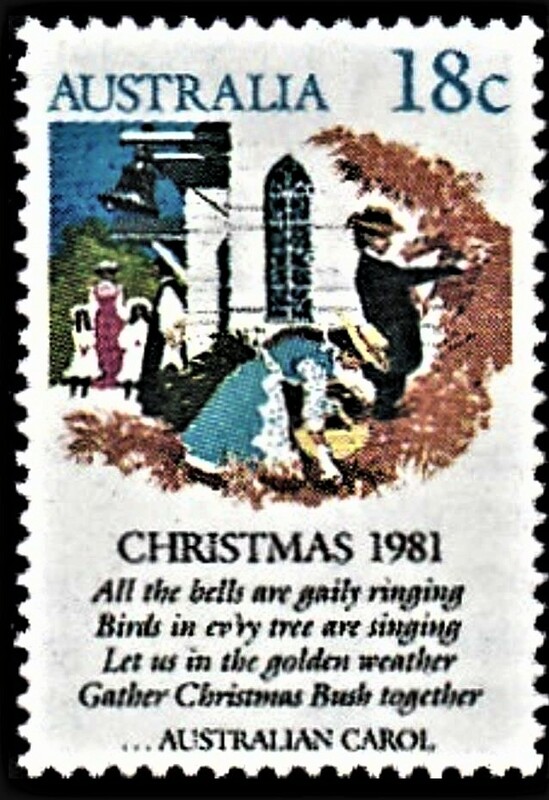 I confess I am still prone to buying cards with English robins perched on snowy letterboxes, but an Australian Christmas tree does stir my imagination. 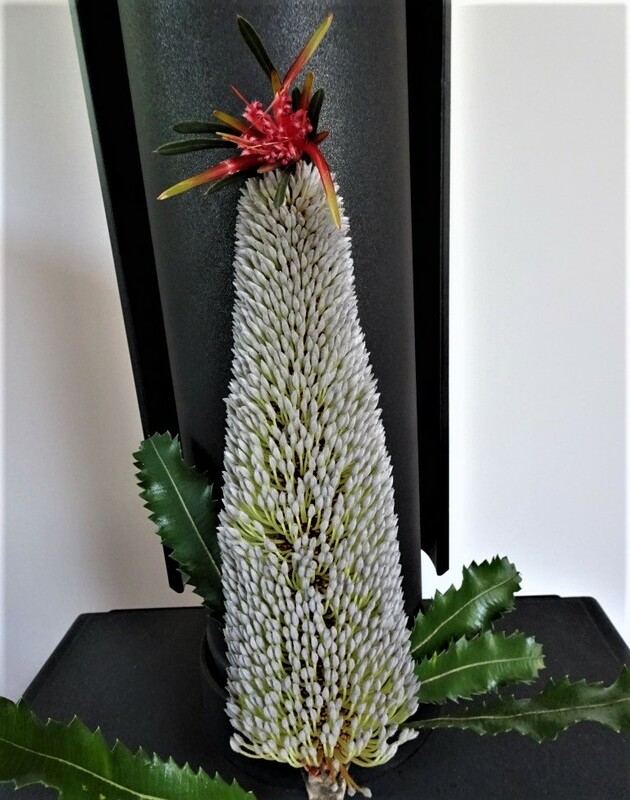 Below is a miniature one I created from a banksia serrata bloom and a mountain devil ‘star’. 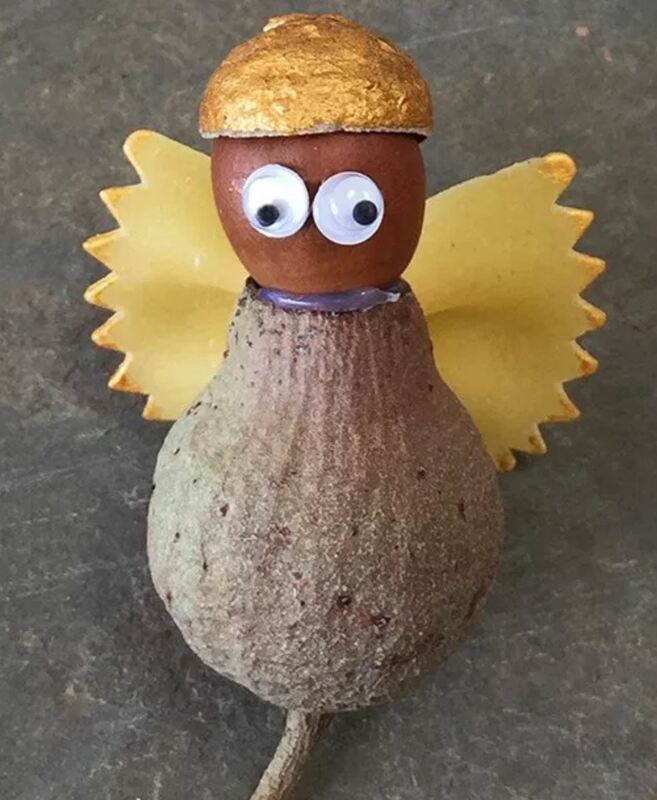 You can buy banksia seed ornaments these days. 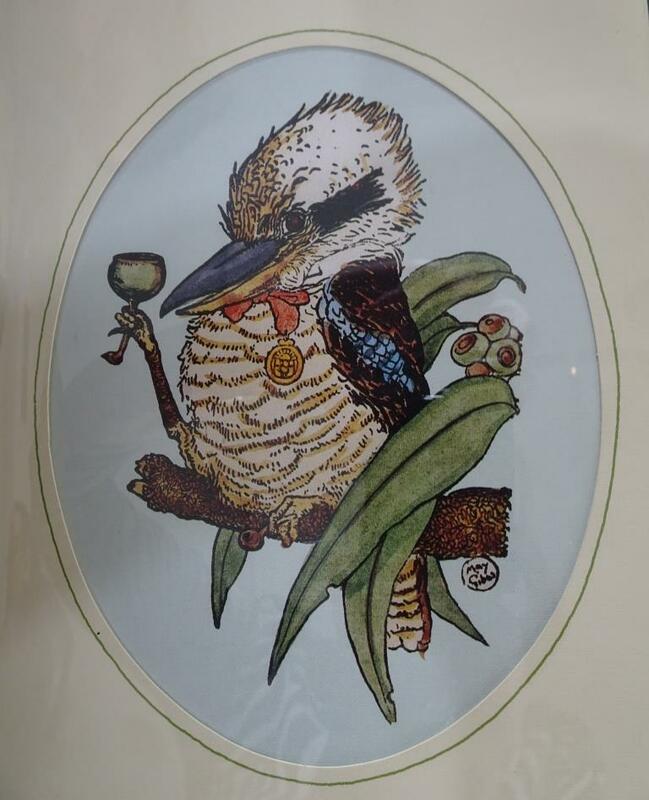 I bought this one at Leura, in the beautiful Blue Mountains. 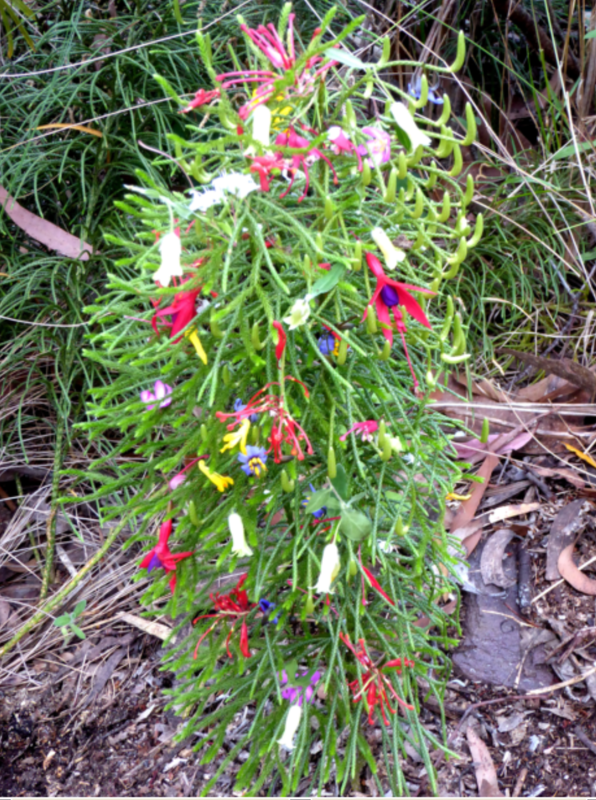 Here is one I prettied up with fuchsia, native correa bells and grevillea. Lycopodiums grow in a special area of my garden in the Blue Mountains village of Blackheath. 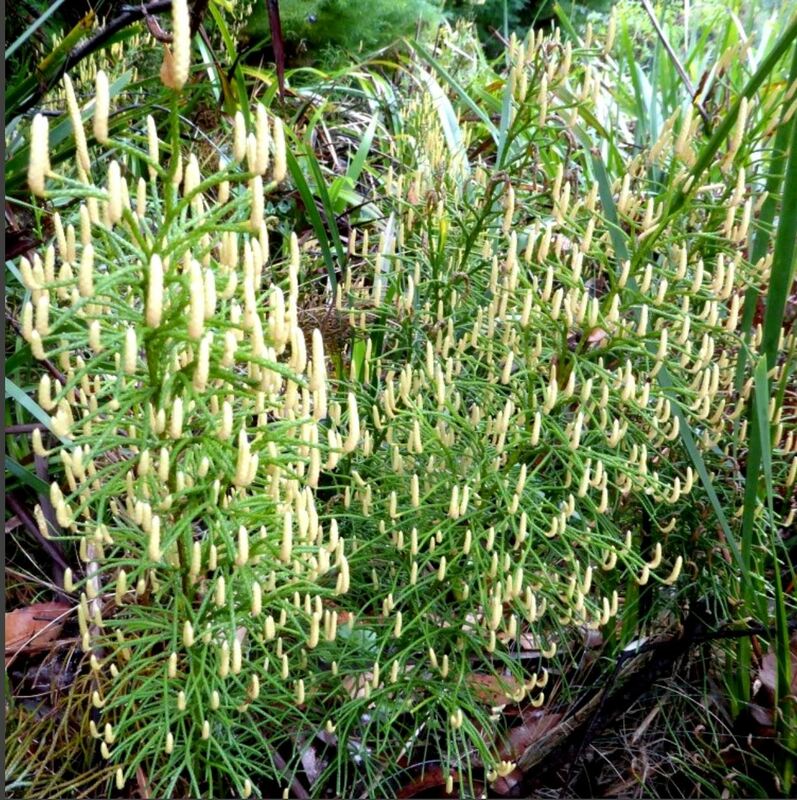 Of course when the lycopodium’s candles appear there is little need for much more decoration. We have this one outside our front door. HARD TO GO PAST A GUM! 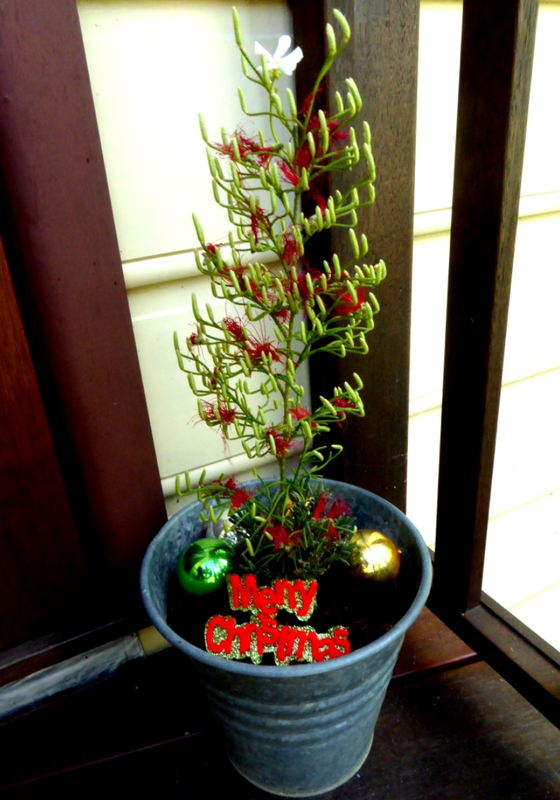 On one occasion during my Tasmanian childhood my father brought home a sapling gum instead of the usual pine bough. We all loved it, especially my mother, who didn’t have to deal with falling pine needles. I would choose the sapling Gum. 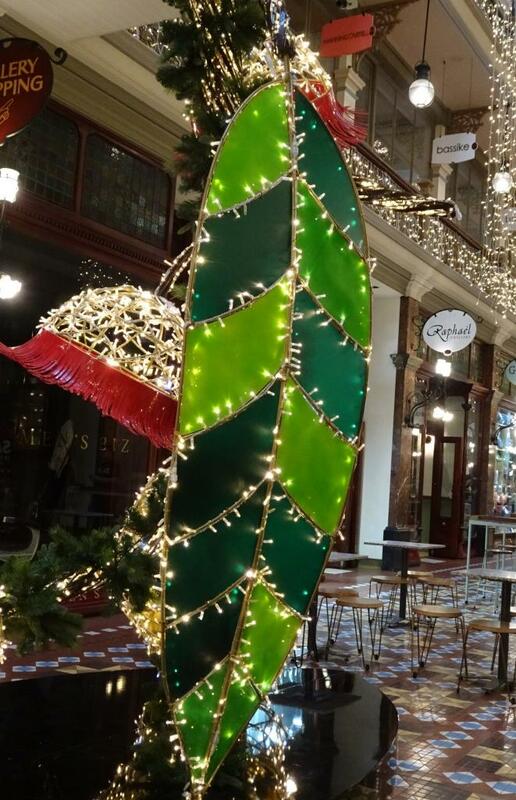 For it is the emblem of our bush Christmas and where it has pride of place there is more of the true spirit of Yule, less of the spirit of possession. Let England, old Europe and America have their pines. The Christmas Gum has a nostalgic fragrance that does more things to one’s heart than the sum-total beauty of all the others. My house is called The Gums, so I’m inclined to agree with the author. 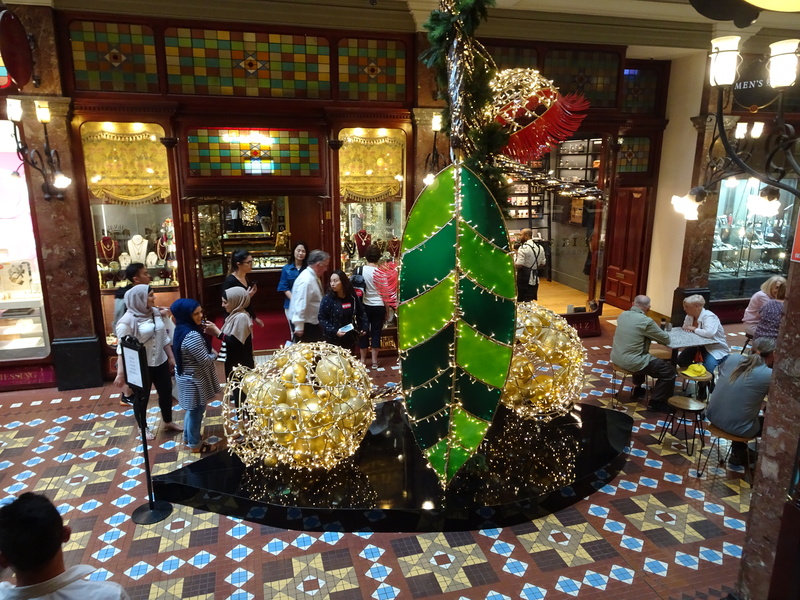 Sydney’s historic Strand Arcade features gum leaves and nuts in their Christmas decorations. Don’t they look delightful? A little tipple for Christmas. 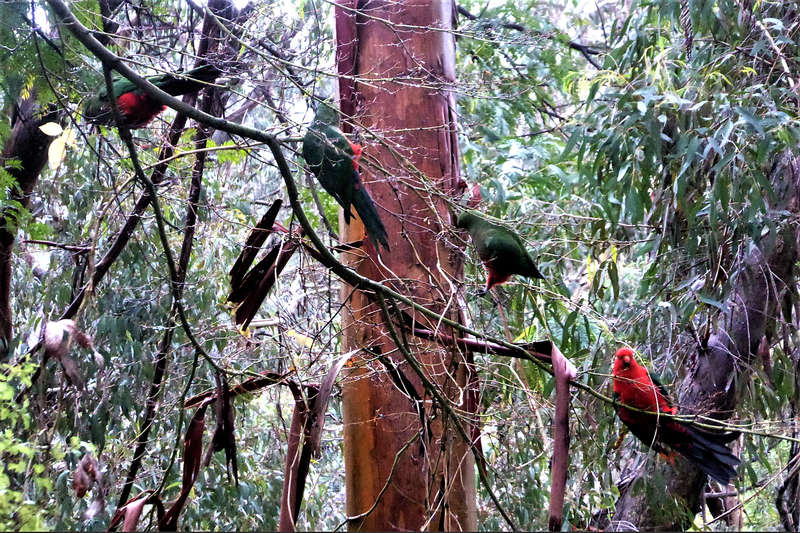 In my Blue Mountains Garden I’m training these king parrots to pose in a gum tree, but clearly I need a few more for the full effect. 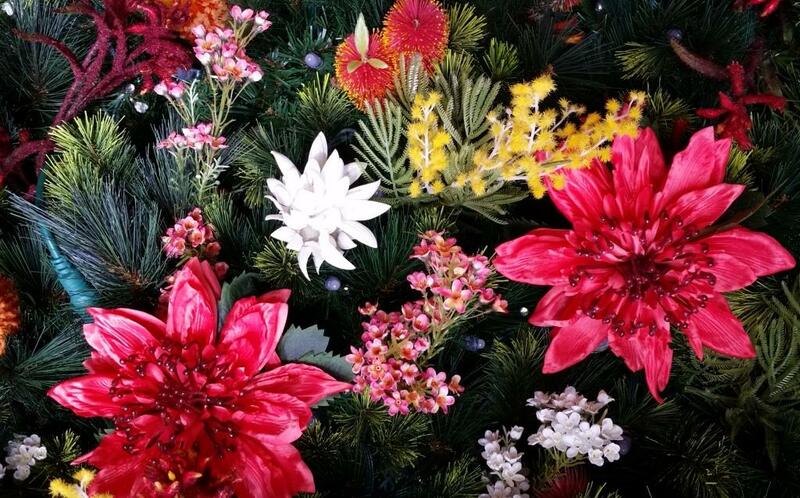 This year I was amazed to see Australian flora featured on Sydney’s Martin Place Christmas tree. 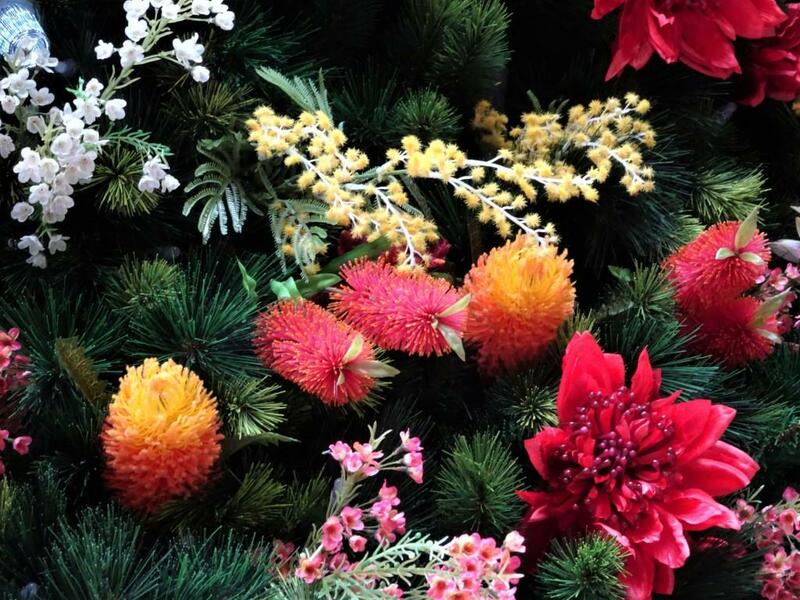 There are waratahs, kangaroo paws, grevilleas, flannel flowers, correas, banksias, Christmas bells, etc, etc. Just beautiful. But I can’t help wondering if people even notice as they hurry by, or pause to take a quick selfie? I really hope they do. 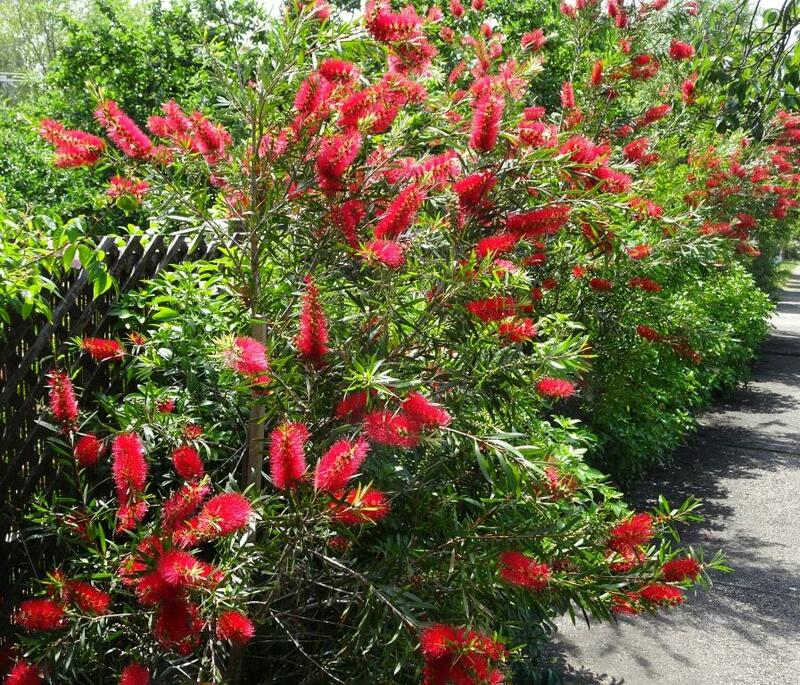 Our beautiful native flora on show. 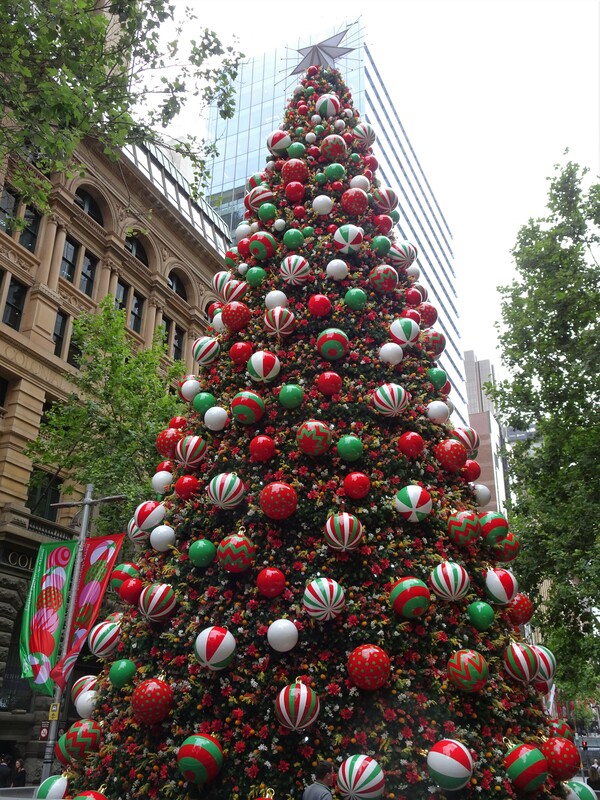 It’s worth remembering that the Christmas tree in Martin Place is a relatively recent tradition, dating from 1971. It was impossible before the area became a pedestrian only zone. 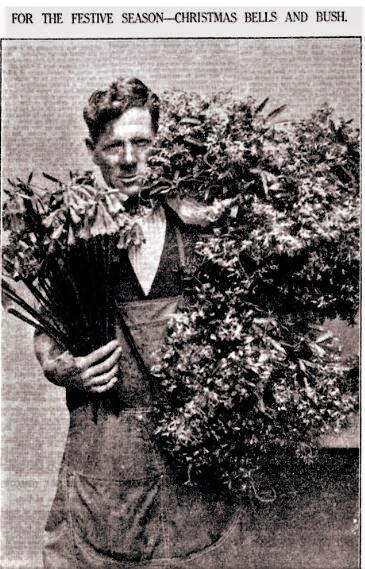 In earlier years the city’s tree was erected in Hyde Park. Our national flower is the golden wattle (acacia). The spring blossom is pretty on greeting cards, but perhaps other acacias are more appropriate as Christmas trees. A male king parrot feasting on the silver seed pods of Acacia covenyi is very festive in my opinion. The pods are at their peak in December. King parrot in the silver wattle. I will end with a tribute to our very own, prehistoric Wollemi pine, discovered growing deep in the National Park in 1994. 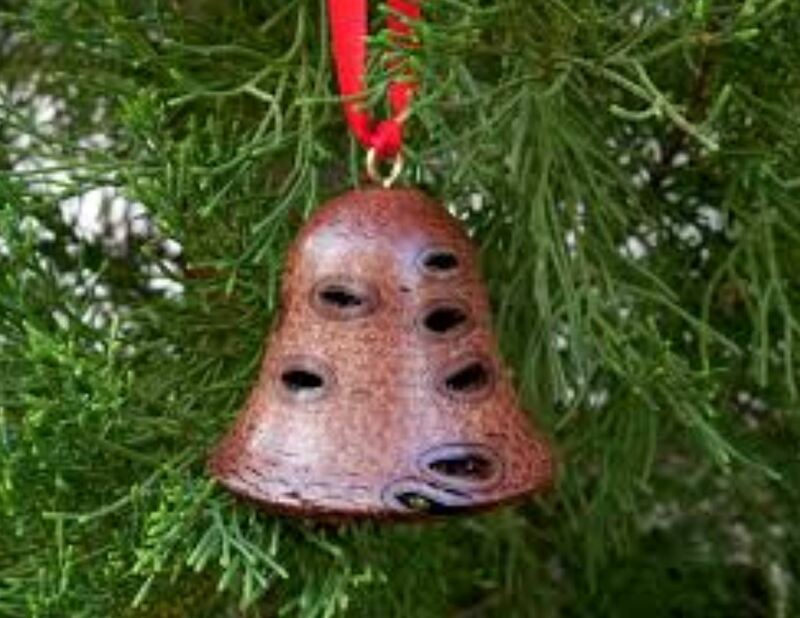 Many people now have one growing, and decorate it at Christmas. It’s hard to get more Australian than that. Delightful article and photos thank you Pauline. Awesome article Pauline! I love it. I think Russellia is underused too. They’re a beaut little bush covered in Red bells, though they come in lemon and orange as well. Thanks Evie. I was going to add Russellia to the piece, but apparently it’s not an Aussie native It does sound very festive! Has probably been growing here for so long we think it’s a native. Thank you so much for such a wonderful article. We really do live in a beautiful country. I was lucky enough to live in the Blue Mountains for 10 years (namely Blackheath) some time ago and appreciate the beauty of the area. So kind of you to take the trouble to leave a message Fran. I so love Blackheath, we moved up from Sydney 17 years ago.